When you are arrested for a DUI your plastic license will usually be taken and you will be given a pink “temporary license” good for 30 days. 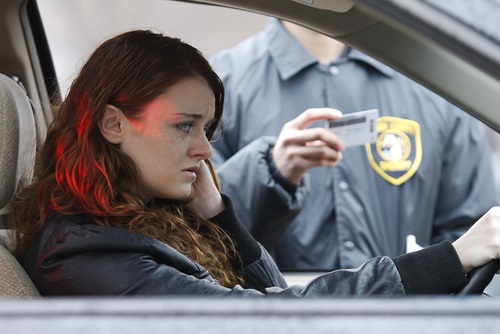 The arresting officer will complete a Notice of Suspension or Revocation forms, and forward a copy on to the DMV, alerting then of your new license status. When your license is suspended or revoked, you cannot operate a motor vehicle for any reason and you will have a second case if you get caught driving on a suspended license. If you retain us we will request a hearing with the Los Angeles DMV within 10 days of the suspension or revocation order and then you get to keep your license for several more months, at least. If we prove at the DMV hearing you were not at or above a .08 BAC your license will be returned to you and full driving privileges will be restored. If we do not prevail, you cannot drive for 30 days, but we can help you apply for a “restricted” license which usually lasts 90 days. Buy California SR22 insurance An SR22 form (sometimes called a California Insurance Proof Certificate) is a document that your insurance company will file with the DMV once you have purchased the minimum insurance amounts. After a first offense DUI, if you can show proof that you are enrolled in a DUI treatment program, you may qualify for a restricted license to drive to and from your DUI classes and work. After a second or subsequent DUI, you may qualify for a restricted license if you install an ignition interlock on your vehicle and provide the DMV with proof (a DL920 form). You will also need to be enrolled in, or have completed a DUI program and be able to show proof (a DL 107 or a DL 101 form). Depending on where in California your DUI occurred, you may be required to install a certified ignition interlock device in each vehicle that you own or operate, to start your car. The cost of installation and maintenance can vary based on the provider and area. You will need to call a provider to get a price quote. We have a list of ignition interlock providers in California for you if needed. If we are not successful at your DMV hearing, the suspension or revocation period for your license depends on several circumstances including prior offenses, age, and blood alcohol content. Each situation is unique, but here are some standard guidelines you can expect. The first offense can result in a 4-month suspension. 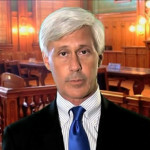 The second offense or a subsequent offense within 10 years can result in a 1-year suspension. The first offense can result in a 1-year suspension. The second offense can result in a 2-year revocation. The third offense or a subsequent event within 10 years can result in a 3-year revocation. The second offense can result in a 2-year suspension. The third offense or a subsequent offense within 10 years could result in a 3-year revocation. You should consider hiring a qualified DUI attorney as quickly as possible because of the limited time frame available to challenge the suspension or revocation. Many people are also unaware that you may actually receive two separate license suspensions, one from the DMV and one from the court system. We can usually prevent this "double punishment" from happening. We know how to handle Los Angeles DMV hearings, specifically what issues they address, and how to win them. We can also apply for a “critical need” driver’s license in order to make sure there is minimal interruption getting to and from work. We’re happy to show clients proof of our successes in the past, so don’t be afraid to ask!